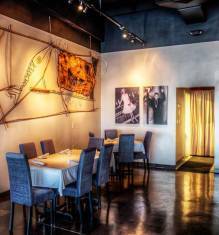 Big Fish Restaurant is the premier seafood restaurant in Orange Beach, AL. Big Fish gives you everything you would want for a perfect dining experience. Enjoy the best atmosphere on the Gulf Coast with delicious seafood and an awesome Bar. Our fantastic cuisine and relaxed ambiance give you an exemplary dining experience! Elegant Atmosphere. Sophisticated Ambiance. Impeccable Cuisines. Everything you want for a true dining experience. Come join us for a wonderful night out! Our services reflect our history and culture by providing special seafood and steak courses for every appetite. Those of you who love sushi, Big Fish Restaurant is a must for sushi in Orange Beach, AL. Come by and relax while having an extraordinary meal with a memorable experience. 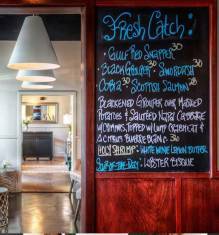 Leck and Jana Lilayuva, proprietors of Big Fish, provide the most entertaining atmosphere on the Gulf Coast! Great food, Great fun, a Spectacular Patio, and an Awesome Bar! If you are looking for the best seafood restaurant in Orange Beach, AL – you’ve got to experience Big Fish Restaurant. 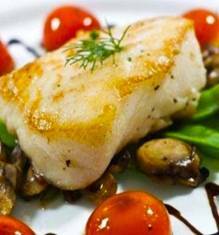 You are sure to love the Relaxing Atmosphere, Impeccable Cuisine and the Sophisticated Ambience of Big Fish Restaurant. You are Guaranteed to leave Satisfied and Happy! Come join us for the freshest seafood in Orange Beach, AL. Hit the town in style! Bring Your A-Game! Wild, fresh fish brought in everyday from across the Gulf Coast! Sophisticated decor with an Up-Beat ambiance. Here’s to a night to remember! Watch highly trained Chefs prepare with flair!